Let me start by telling you a little background about this sweet session. Y’all this session has been on the books since NOVEMBER. It is currently May!! This poor family and I had the worst luck with my friend, Mother Nature. We got rained out not once, but twice! Can you believe the luck? As we got closer and closer to their new date, I couldn’t have been more excited to see SUN in the forecast because let me tell you– their personalities and the sunshine are like peanut butter and jelly! 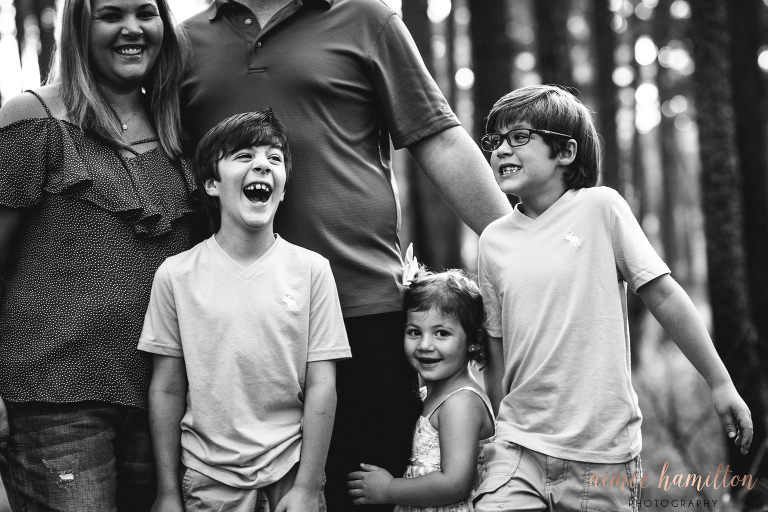 This family is so full of happiness is truly was contagious! We joked, we tickled, we laughed, but most of all we had fun! I think you’ll need to see it for yourself to believe it! In the end, I think the wait made this overdue session so much sweeter! These kids came ready to play and have a good time! A photographer’s best kept secret! 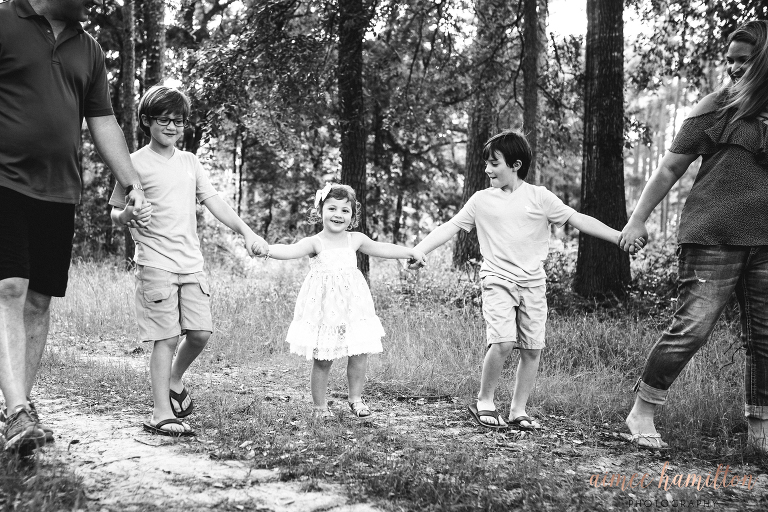 The best tip I can offer before your family session is to talk to the kiddos about not smiling for the camera. As moms, we take so many photos of are kids that they become “trained” to look at us and smile. I take plenty of those, but what I really want to focus on is who your kids really are! For example, these boys are silly with a capital S, yet they are super sweet and gentle with their little sister. It’s also pretty clear that she absolutely adores them! That connection between families is what I want to shine through! 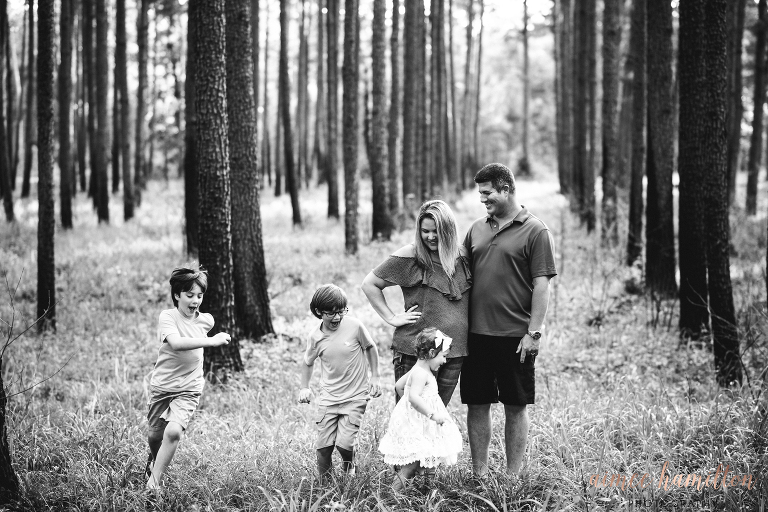 Before your next family session, practice not looking at the camera! I promise you’ll love the memories you will be given. 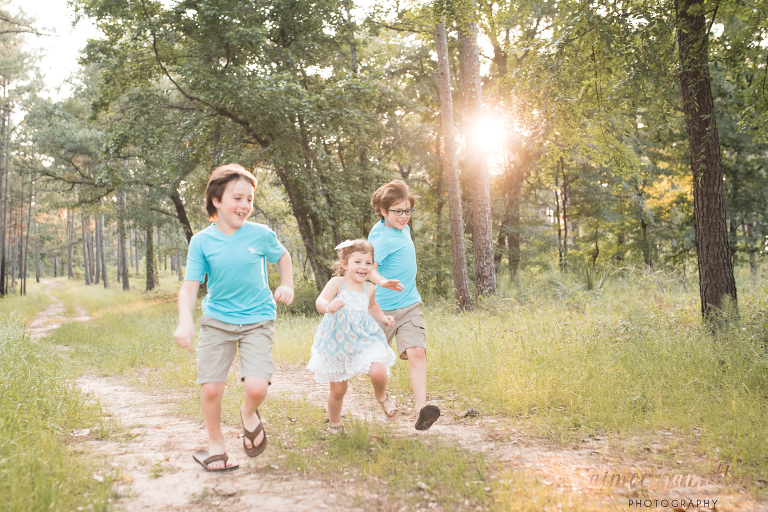 AHP is a Conroe family photographer specializing in newborn and family portraits of the younger years! Contact me here about your next family portrait!